Help create the future of the Mary: Go to MaryValleyRenewal.org for more information. 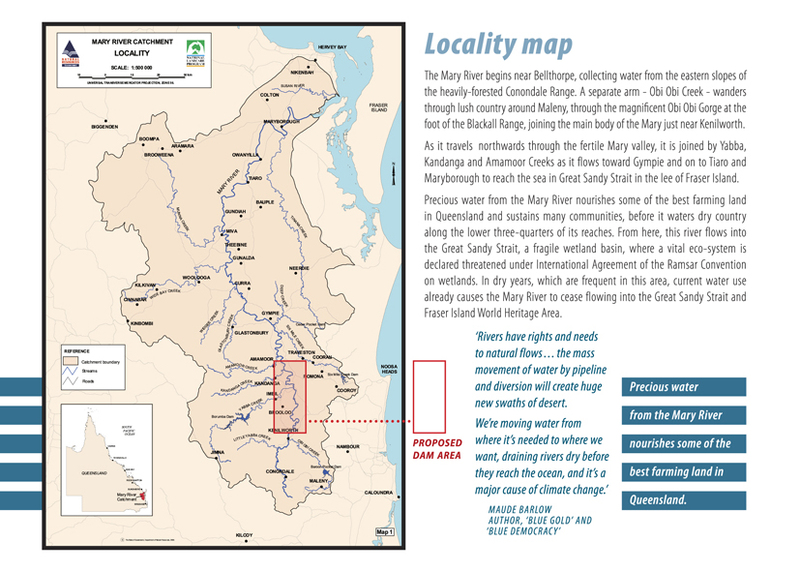 This is the official website of the SaveTheMaryRiver Coordinating Group - an organization dedicated to preventing the construction of a proposed dam on the Mary River at Traveston Crossing (Qld). We also campaign in support of more socially responsible, reliable and sustainable alternatives to the project which would preserve the unique values of the entire Mary River system for the benefit of future generations. You might want to look at the SUMMARY tab at the top of this website for some quick information about the proposal and our campaign. The photo above was taken at the third anniversery canoe floatilla in April 2009 - a celebration of three years of successful campaigning and strengthened determination to see the Mary River handed on to future generations in a better state than what it is now. A mid-stream floodplain dam on the main trunk would spell the death of this river system. In spite of the rhetoric at the time of it's announcement that the dam would be under construction by Christmas 2006, the project has still been unable to gain the planning and environmental approvals needed. The reason is simple, it is an an unnecessary, economically inefficient project with huge negative impacts (economic, social and environmental) and very little public support. Have a good look around the info about the Mary River in the menus on the left and the tabs along the top of the page - there is a comprehensive body of work by a large number of dedicated people and organizations summarized in those links. The stunning photographs on Stoppress are essential viewing, for example. The MULTIMEDIA tab contains links to dozens of informative online video and audio segments from throughout the campaign. Check out the recent blogs from representatives of the various teams of people within SaveTheMaryRiver dedicated to fighting the proposal. The online forum holds a continuous record of public comment since the start of the campaign in 2006, and is still the first place that the latest news appears. The latest copy of the Dambusters Newsletter is always available on line, and can be emailed to you directly if you wish. Go to the Contacts tab above and send us an email requesting to be put on the direct contact list. You can also apply for financial membership from the same page. 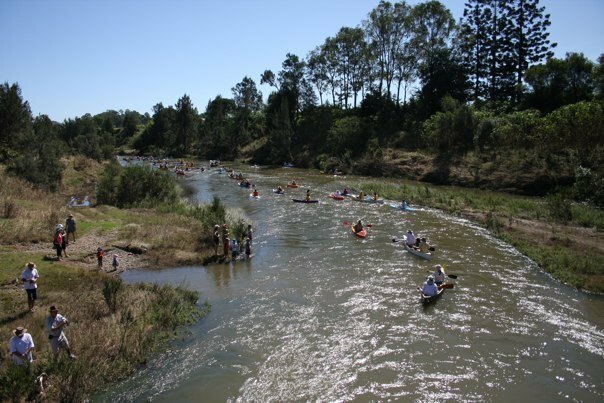 The original savethemaryriver website , dating back to 2006 can still be accessed and is being kept on-line to maintain existing links and to act as a historical record of the campaign. Federal Environment Minister Peter Garrett has made his final decision on the Traveston Crossing Dam proposal, determining that the impacts of the proposed dam on threatened species would be too great. “After carefully considering all the information necessary for me to make my final decision, including the recent comments on my proposed decision by the proponent, the Queensland Coordinator-General and the relevant federal ministers, I have concluded that the Traveston Crossing Dam cannot go ahead without unacceptable impacts on matters of national environmental significance,” Mr Garrett said. “As I stated when I made my proposed decision on this project, all of my decisions under the national environment law are based primarily on science, and the science is very clear about the adverse impacts this project would have on the nationally protected Australian lungfish, Mary River turtle and Mary River cod. “The independent expert advice and the advice from my department clearly show the Traveston Dam proposal would lead to serious and irreversible consequences for these species and most likely, would lead to their further decline. “The Australian environment is under pressure on numerous fronts, and much of our unique wildlife is suffering under the impact of threats including invasive species, habitat loss and the effects of climate change. We’re working hard to respond to these and other threats, and sometimes this requires tough decisions to be made. “In this context, I want to make clear that in making my final decision on this matter I had regard to the overriding objects of the Environment Protection and Biodiversity Conservation Act 1999, including the protection of the environment, the conservation of biodiversity, and the promotion of ecologically sustainable development and the need to consider the precautionary principle in making my decision. Mr Garrett said dams could play a valuable role in terms of water supply, when well located and carefully designed. The Hinze Dam and the new dam at Wyaralong were approved in the past two years. “For the Traveston Dam proposal, however, the species’ breeding and their ability to maintain their population numbers would be seriously affected by the flooding of their habitat and by the fragmentation of significant populations, and I was not satisfied that adequate measures were proposed to mitigate these impacts. “While I acknowledge that the proponent did a great deal of work trying to devise measures to mitigate the impact of the dam on threatened species, and the Coordinator-General proposed some 1,200 conditions of approval, the reality is that the effectiveness of the measures being proposed was highly uncertain, a number of these measures couldn’t be tested until the dam was operational and the impacts were already being felt. “Throughout the assessment process a range of measures were suggested to better protect the Mary River environment and the threatened species that rely upon it. I believe there are practical measures that should be implemented to protect the species including rehabilitation of riparian corridors, improved cattle fencing around sensitive habitat, and finalisation of a recovery plan for the Australian lungfish. I believe that these are measures that should still be undertaken despite the proposal not proceeding. “I believe that it’s critical that both local and state government work together to tackle the threats to these species and secure their future. My department is currently examining the possibility of pursuing a regional recovery plan for the area. “In making my decision I also carefully considered relevant economic and social matters. Independent analysis of this proposal cast serious doubt over its economic merits. I also had regard to the significant concerns raised by the communities in the Mary Valley that would be most directly affected by the dam. Mr Garrett said that he was well aware of the need for long-term water security for South East Queensland but noted that the Coordinator-General's report identified that the water to be provided by the proposed dam was unlikely to be required prior to 2026, and that there are a number of alternative water supply options available to the Queensland Government. The Traveston Dam proposal was assessed by the Australian Government because it had the potential to impact on nationally listed threatened species, migratory species, the Great Sandy Strait Ramsar wetland, and the World Heritage values of Fraser Island.